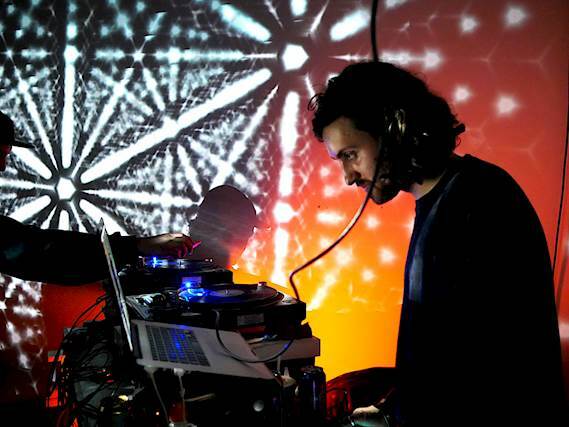 Matt Woodham is an artist/designer/creative technologist with a background in psychology & neuroscience. Through his research, and fascination for knowledge gained from human experience and empirical evidence – he strives to uncover the systems and patterns underpinning our physical & natural worlds. His research often addresses the common dynamics between different systems, such as the transfer of signal, waves, energy and information. "I wanted to keep the setup as straight-forward as possible for the first event. It felt unnecessary including too much as the visuals were so intense and all-consuming." "The small size and superb brightness made the Optoma EH415ST and GT1080e the ideal solutions." Challenge: To create a unique perceptual experience at One Thoresby Street – an artist-led gallery and studio space in the heart of Nottingham’s creative quarter. 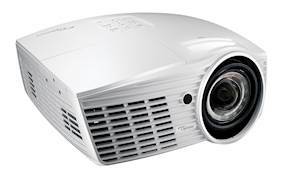 Solution: The Nottingham-based artist opted for two EH415ST and two GT1080e Optoma Full HD short-throw projectors, both offering the image quality of larger projectors. To create a unique perceptual experience at One Thoresby Street – an artist-led gallery and studio space in the heart of Nottingham’s creative quarter. Multimodal is a new experimental event series exploring intersections between arts, science and technology. This was founded by Matt Woodham, an artist, designer and creative technologist with a background in psychology and neuroscience. He wanted to combine his research into visual neuroscience - with music, in order to create a unique perceptual experience. Synchronized patterns, based on visual neuroscience research, would be projected onto every wall, simulating early visual receptors in the audience’s brains. The introduction of music would take the cortical perceptual experience one-step further than Matt’s research in to the realm of ‘Multisensory (or ‘Multimodal’) Integration’. 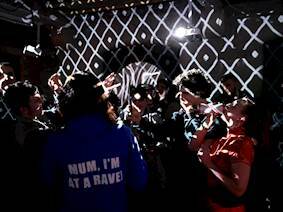 The experience would need to cover as much of the visual field as possible and prompt the audience to ‘fill in the gaps’ of their perceptual experience. The Nottingham-based artist opted for two EH415ST and two GT1080e Optoma Full HD short-throw projectors, both offering the image quality of larger projectors. 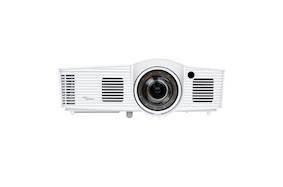 The Optoma 1080p short-throw projectors, EH415ST, were selected due to their bright 3500 ANSI lumens and for their ability to produce a large image from a short distance. Their compact size allowed them to be installed out of sight from visitors. For the remaining two walls, Matt chose two GT1080e projectors due to their bright 3000 ANSI lumens and pin-sharp high definition imagery. They were also chosen for their compactness, meaning they can be uninstalled and reinstalled quickly and simply. The setup was as minimal as possible. 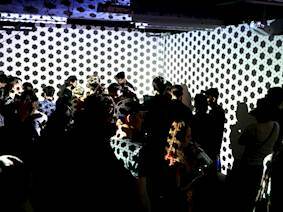 Four Optoma projectors were pointed at each wall, powered by a laptop running VDMX. 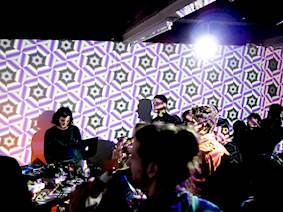 Matt explains: “The visual patch I built on VDMX was driven directly by the audio from the mixer. The signal from VDMX was split into four HD signals going into each projector. Other than that there were just a few extra bits of decor which played with light - either reflecting or emitting it. 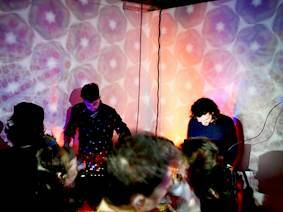 The visuals by Matt Woodham and music by Lukas Cole from Wiglex, were highly synchronised, to push the audience’s experience as much as possible, so that the combination of simple elements provided an ‘emergent’ experience to the viewer. The visuals were generated live, in response to the music Lukas was playing. Matt designed a custom controller to adjust specific parameters of the patterns such as spatial frequency, colour, spacing, width, angle, tiling parameters etc. The visuals were automatically kept in sync with the music. 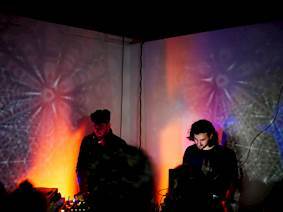 The event saw both Matt and Lukas working in perfect unison to create an experience akin to Chapter 1 of Alice in Wonderland ‘Falling down a rabbit hole’. A second event has been born out of discussions with Professor Jon Pierce at the University of Nottingham, as part of wider research on mid-level vision. This event would potentially feed into genuine, cutting edge visual neuroscience research. Sign up for our latest news, special offers and promotions. Cookies are small text files which are stored in your browser when you visit many websites. If you close this dialog without selecting an option, we will default to allowing cookies.